This hybrid of H. 'Crepe Suzette' × H. 'Blue Moon' was registered by Wm and Eleanor Lachman of Massachusetts in 1991. A small size plant, it grows to about 11 inches in height and a spread of 29 inches wide. The leaves are convexly cupped, are slightly corrugated and have above average substance. Pale lavender flowers bloom in mid-July. According to The Hostapedia by Mark Zilis (2009), "...exhibits the best traits of both of its parents." 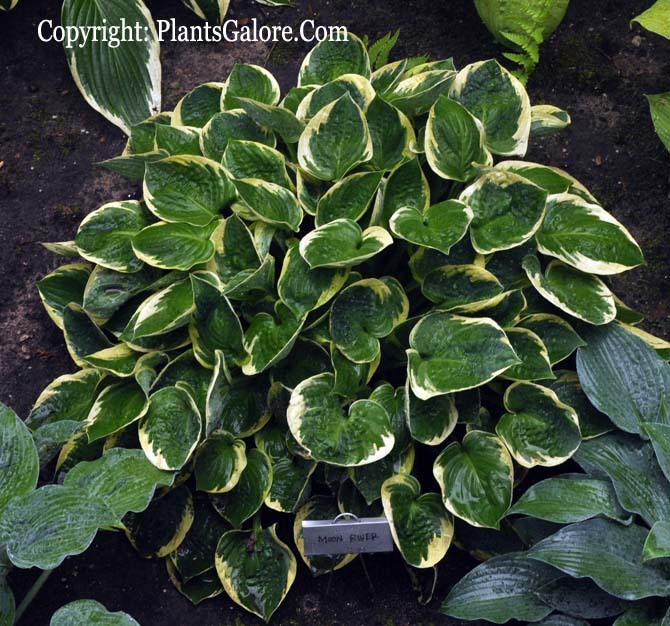 The New Encyclopedia of Hostas by Diana Grenfell (2009) states: "Slow to increase." Similar cultivars include H. 'Cherub', H. 'Pilgrim', H. 'Tea and Crumpets', H. 'Thumbelina' and H. 'Winsome' .